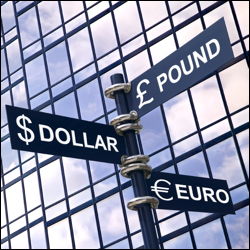 After the Fed resisted tapering, thus giving the shared currency an unexpected boost versus the dollar, the rally lost steam yesterday, with the EUR/USD pair closing rather flat at $1.3529. This may have come on caution ahead of a very busy weekend for Germany, Europe's largest economy, where federal elections are due to take place on September 22. Looking at the spread trading charts, after spending most of the day in neutral territory, the euro spiked 165 points higher versus the dollar to $1.3522. It seems that Fed Chairman Ben Bernanke blinked by keeping the QE program unchanged at $85 billion per month which in turn sent the dollar crashing. For all the speculative talk of a meaningful economic recovery in the US, it seems that the central bankers are not all that confident. Despite a contraction in Eurozone exports, the shared currency continued its advance versus the dollar, gaining 22 points to $1.3357. What actually trumped the trade balance disappointment was renewed optimism regarding the Eurozone economic recovery as indicated by the ZEW Economic Sentiment survey which surpassed estimates of 47.2 by hitting 58.6. As the markets reassessed the chances for an early end to the current monetary stimulus, it came as little surprise to see the euro opening higher versus the US dollar. However, the common currency dropped during the rest of the trading session, closing 34 points lower at $1.3333. In forex trading, the euro closed rather flat against the dollar at $1.3302 as employment in the Eurozone was a tad better than estimates. Ahead of this week's FOMC meeting, FX investors did not feel too brave and decided to stay on the sidelines. However, last night's news about Lawrence Summers' withdrawal from the Fed race has triggered a jump in the euro on expectations that chances for an early tapering are now slimmer.